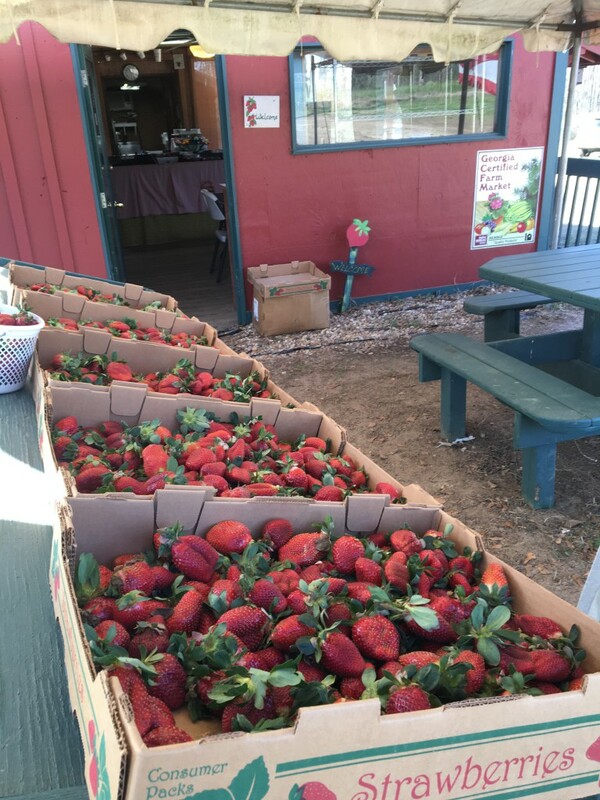 The strawberries are now ready and it’s been one week of picking and eating. Everybody is talking about how sweet they taste. Mr. Stanley grew a variety called Camarosa. This is one of the 3 main U-Pick varieties and is also very sweet. Camarosa is a mid-season variety where Sweet Charlie and Chandler are more early. The key to Camarosa is delay the picking past glossy red stage. You wait til it turns a little red on the stem. It’s known for having a good shelf life. I haven’t had any ice cream yet, but the strawberry slushy was great. 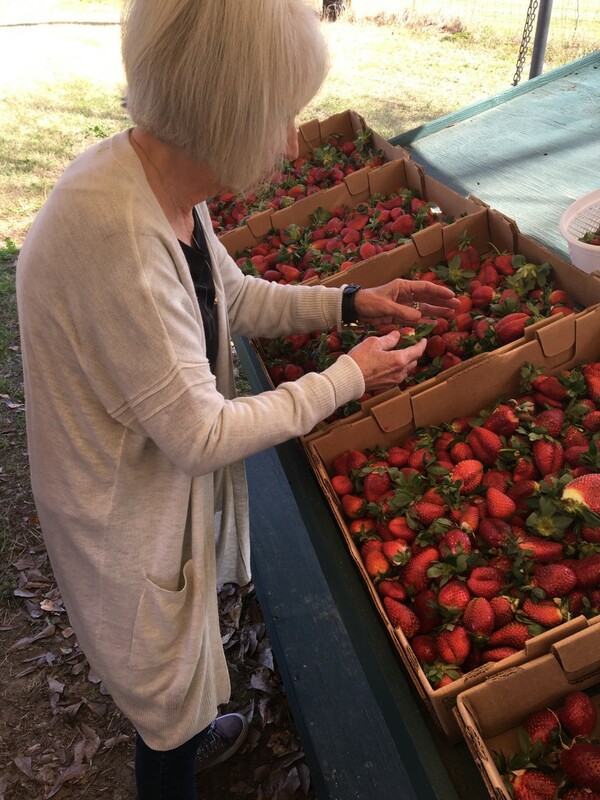 Mrs. Judy going through recently picked strawberries. Camarosa fruit is also known for holding up good in rainy weather. This is the main issue as we go into harvest. It takes 35 days for the fruit to produce after pollination. Due to our seasons, in our region pollination may take 50 days. 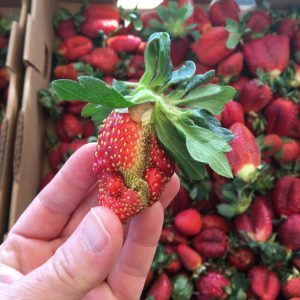 This can cause producers to see issues in fruit: 1) pollination and 2) environmental issues like mushy spots from rainy weather. For us in Wilcox, we have faired very well. Our strawberries are looking great. I’ve been checking them for disease and insects. We have actually faired much better with both this year. Mites are the big issue as we move into January, but I’m finding little populations each week. Back to the rain and pollination, here’s an example of one that did not pollinate well. It kinda grows funky and twists around. This can happen when a flower sits flat on the plastic or a bug may get in the flower as it is pollinating and mess it up. Pollination issue makes it grow odd. It looks like a nose with an upper and lower lip. Posted in Strawberries. Bookmark the permalink.